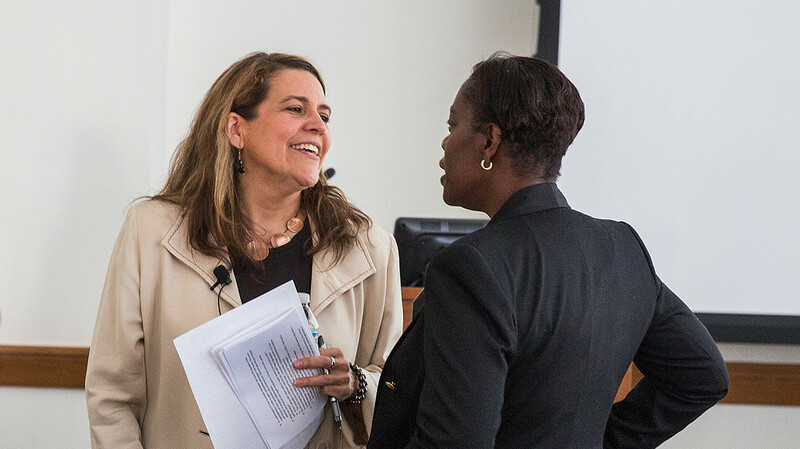 The 2016 Drexel LeBow Bridging Practice and Theory Summit brought together regional academics and a variety of business professionals to discuss topics crucial to both communities. Keynote speakers and discussion panelists discussed United Nations sustainability goals, academia’s role in business analytics and the role of experiential learning for students and professionals. Kyra Krysinski, a strategy and relationship executive for the United Nations, Deloitte Services Limited, delivered a morning keynote entitled, “Organizational Sustainability as a Global Trend and its Impact on Business Leaders.” The presentation highlighted the role of business and future leaders in the UN’s 15 Sustainability Goals. Attendees had vibrant discussions on topics relating to sustainability such as social equity, private sector roles, sustainability in project management decisions and millennials’ desire to have an impact. The second session highlighted business analytics and the role of research in corporate strategy decisions. 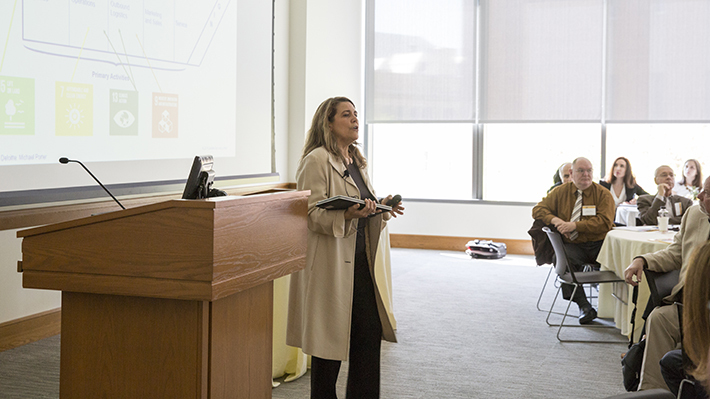 Patricia “Trish” Oelrich, principal at Oelrich and Associates, and Murugan Anandarajan, professor of decision sciences and management department head at Drexel LeBow answered questions from attendees about relevant research and the business applications. Participants exchanged ideas in the area of leadership and strategy, governance and policy and analytics and performance in break-out sessions. The final panel discussion highlighted the various ways that experiential learning is used in the college classroom and during in-house corporate training. Rebekka Shepherd, assistant director of Drexel LeBow’s Dornsife Office for Experiential Learning moderated. Panelists were gathered from varying fields, they included: Leslie Kendrick, Johns Hopkins University, Kimberly Kletcheck Hart, KPMG LLP, Chris Lindberg, Ennea International, and Scarlett McCahill, Project HOME. The summit provided a productive and fruitful forum for regional professionals and business faculty to network and collaborate. “I’m happy to let you know that I brought the discussion back with me to colleagues and students. We had a fantastic discussion…thanks to you and to everyone for organizing such a terrific event,” shared Virginia Rich, professor at Caldwell University. Attendees, sponsors and volunteers all contributed immensely to the success of the Summit. Drexel LeBow’s annual BPTS facilited a two-way dialogue between the business community and academics.